None of us are getting any younger, the saying goes. But when it comes to your skin and looks, it is possible to overcome a tired-looking complexion, whether it’s caused by ageing, sun damage, stress or other issues. Skin essentials provides an array of treatments to rejuvenate the skin which vary from facials, to the intraceuticals rejuvenate infusion to skin peels and more. 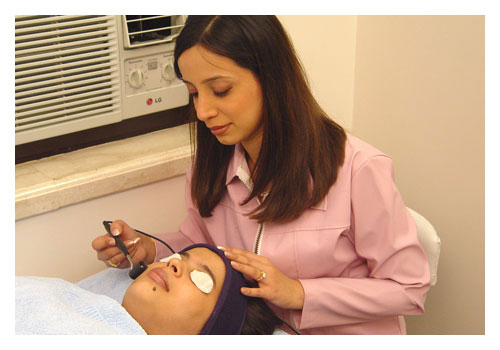 These treatments are designed to relax and rejuvenate the skin with the various active ingredients. Immediate results may include increased hydration with a healthy skin glow. When performed every four to six weeks, these treatments can help improve the skin tone, soften fine lines, wrinkles and scarring, and diminish discolorations. We at Skin essentials believe that every person is an individual with a different budget and skin needs and therefore these treatments are tailor made for the individual. This treatment cleanses, exfoliates and rejuvenates the skin, instantly plumping and smoothening the lines and wrinkles. A combination of suction exfoliation, gel and mask therapy provides you a completely refreshed look. Active principles used during these treatments help to provide the desired result of tan removal. Maintenance treatments can be done every 4 to 8 weeks. Pigmentation if present can be mild to very severe in nature depending on the individual. We at Skin essentials aim to provide you a treatment from our vast array of lightening treatments to help you achieve a clearer and even skin tone once again. Combination of various treatments may be used to help us achieve the desired result.